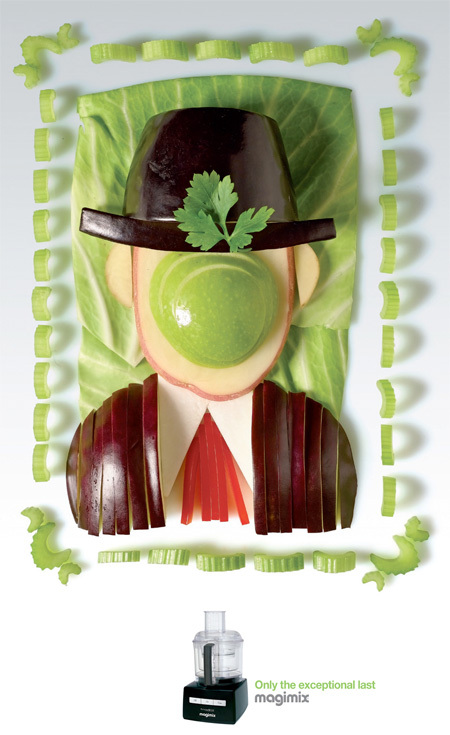 Clever advertising campaign for Magimix kitchen appliances features classic paintings recreated out of various fruits and vegetables. Magimix – “Only the exceptional last” by Y&R creative agency from Israel. 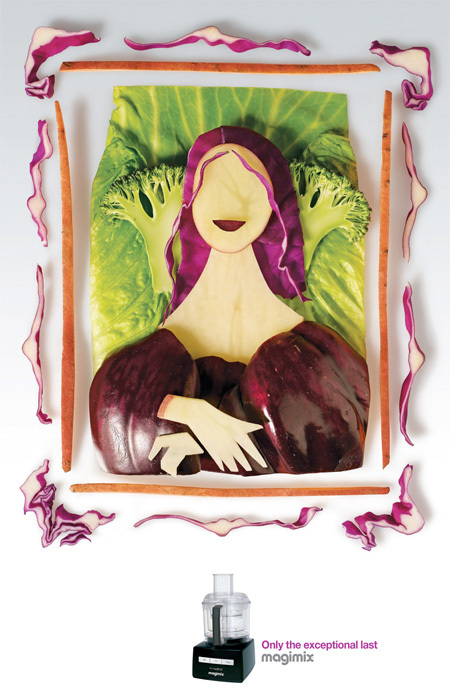 Cut up veggies, make picture, take picture, throw away. Lame. The first & last ones were really great and there’s no doubt which painting they are. I wouldn’t have guessed the Picasso one if it wasn’t captioned. 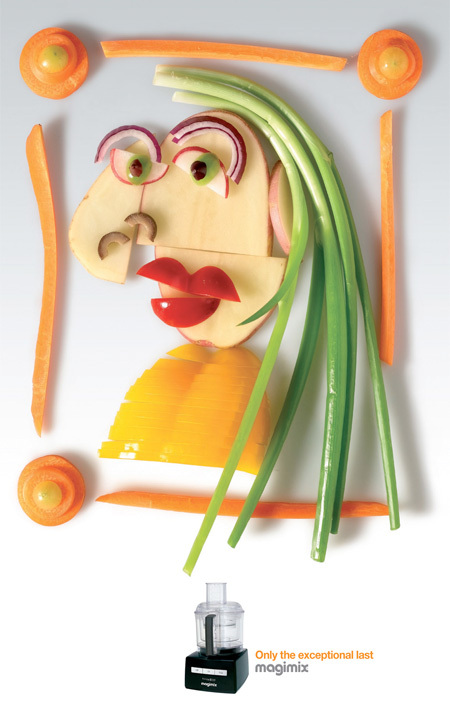 Cut up veggies, make picture, take picture, eat. Tasty. I would say nice try, but, whatever. Creative work by artistic mind… Nice mate you did really great work. Obviously made for a dip. ha ha. I once read an article (I forgot where but I think it was here on Toxel) that a mother arrange her kid’s lunch box with healthy and delicious food imitating images of pacman, garfield, angry birds, hello kitty, goofy, micky mouse, etc. this reminds me of the balloon art…same artist?? I don’t think it would classify as “PAINTINGS”. I think its more as “MOSAIC” art.